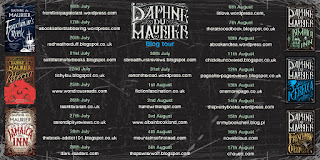 Welcome to my stop on the Daphne DuMaurier blog tour! 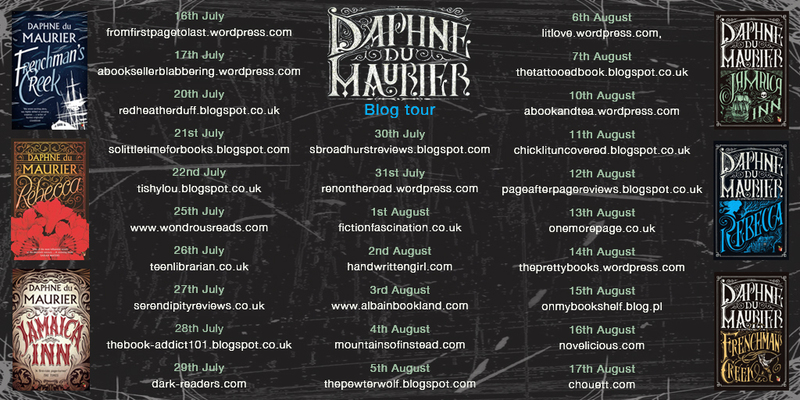 Daphne du Maurier is one of the best-loved writers of the 20th century. these are novels with genuine cross-generational appeal. In addition to our new series style, we will be launching editions especially for the young adult market. I don't really read many classics as I normally struggle to relate to them, but this blog tour intrigued me so I said yes with no hesitation and chose to read Rebecca for the first time. Although the language is exactly as you'd expect from a book published in 1938, the story is not old, nor is it hard to follow. It is a classic tale of love gone wrong, of deceit and corruption. There is intense sadness, pain and anger. There is intrigue, mystery, suspense and even humour. No one is really as they seem (or are they?) and I was not quite sure where we were headed throughout this book. I really am surprised at how dark it is, and also that I never knew that before! I'd like to thank Poppy Stimson at Little Brown for sending me this book in exchange for my honest review.